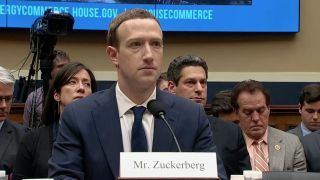 When Mark Zuckerberg comes for questioning in the European Parliament today (May 22), he'll do so in front of more than just a panel of MEPs. There will be a live stream of the meeting with the founder and CEO of Facebook that you can watch wherever you are. Zuckerberg has been called to attend the Conference of Presidents of the Political Groups of the European Parliament, to answer questions about the scandal surrounding the alleged misuse of personal data of European Facebook users and, more specifically, its potential impact on the European elections next year. The meeting is due to start at around 6.20pm local time. So that's 12.20pm ET or 9.20am PT in the US, 5.20pm UK time, and 2.20am AEST in the early hours of the Australian morning. You can live stream Zuckerberg's conference directly on the website of the European Parliament or – somewhat ironically – on Facebook itself. Our understanding is that the broadcast should be available via the above channels worldwide, but if you tune in only to be told that the live stream isn't available where you are then there is another way to watch. By using a VPN, you can effectively fool your computer or other streaming device into thinking it's in another country. So change your IP address to somewhere that definitely will get the live stream, such as Belgium or the UK, and then head to the European Parliament website. And because our favorite VPN, Express VPN, comes with a 30-day money-back guarantee, you can get the VPN for the Zuckerberg live stream absolutely free.